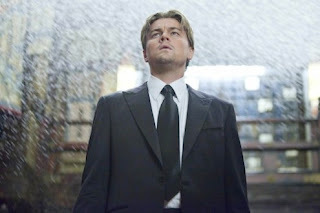 The making of Inception presented an immense technical challenge for the cast and crew, beginning with comprehending director Christopher Nolan's complex dream-heist script. Star Leonardo DiCaprio told THR that even he needed time to figure out the multi layered story. "I needed to know implicitly where we were," he said. "It got incredibly confusing at certain points in the beginning, but the more we talked, the more I understood." DiCaprio, who played the lead role of Dominic Cobb, spent weeks combing through the script with Nolan. "The work (DiCaprio) did on his character with Chris made the movie less of a puzzle and more of a story of a character audiences could relate to," said Emma Thomas, Nolan's wife and producer. The intricate navigation through the films narrative was not exclusive to the cast as other technical crew members had their own puzzles to solve when figuring out the top-secret script. Each were locked in a room on the Warners lot where the script was sealed for their first view. Visual effects supervisor Paul Franklin recalled the note in the script which called for the entire city of Paris collapsing and folding up. The note on the script for that scene simply said: "The city begins to fold in half." "Working with Chris is absolutely great, but he's very challenging, too," Franklin said. Nolan recently commented on the most debated points in Inception's layered narrative. The film, which grossed $823 million at the worldwide box office, comes out on DVD on December 7. I'm reading: LEONARDO DICAPRIO EXPLAINS HOW INCREDIBLY CONFUSING THE [INCEPTION] SCRIPT WASTweet this!